The program is preparing PhD students from UMD programs in the life and public health sciences, earth system sciences, engineering and computational sciences, social behavioral sciences, natural resource management studies, energy and environmental policy, and other FEW-related programs through hands-on domestic and international experiences, as well as research, professional development, and outreach opportunities. 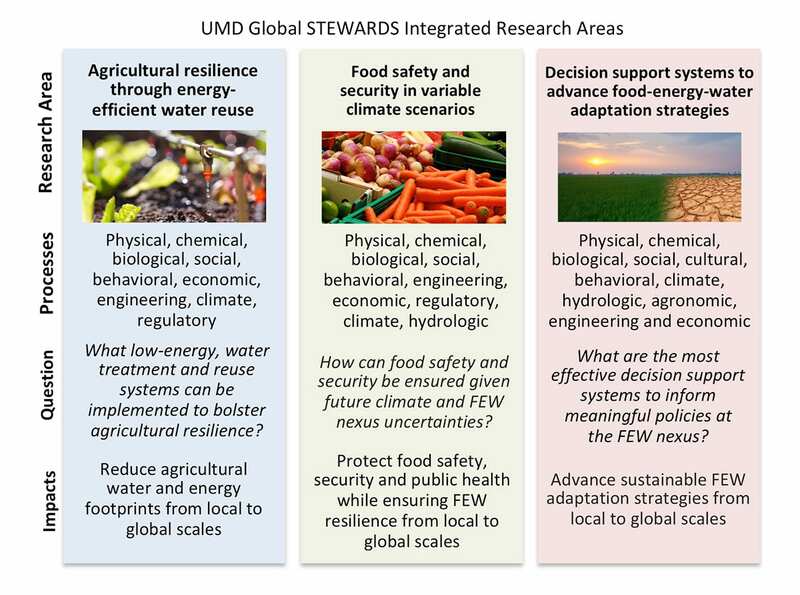 The University of Maryland School of Public Health and the UMD Global STEWARDS program recently hosted Dr. Bruce A. McCarl, University Distinguished Professor of Agricultural Economics at Texas A&M University, for a special lecture on economics and the food energy water nexus. 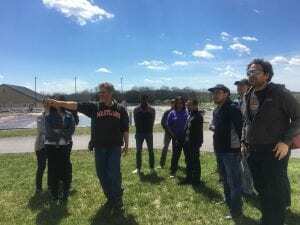 The Global STEWARDS recently visited Emmitsburg, a Maryland town that has won awards for its numerous sustainability and energy-saving initiatives.